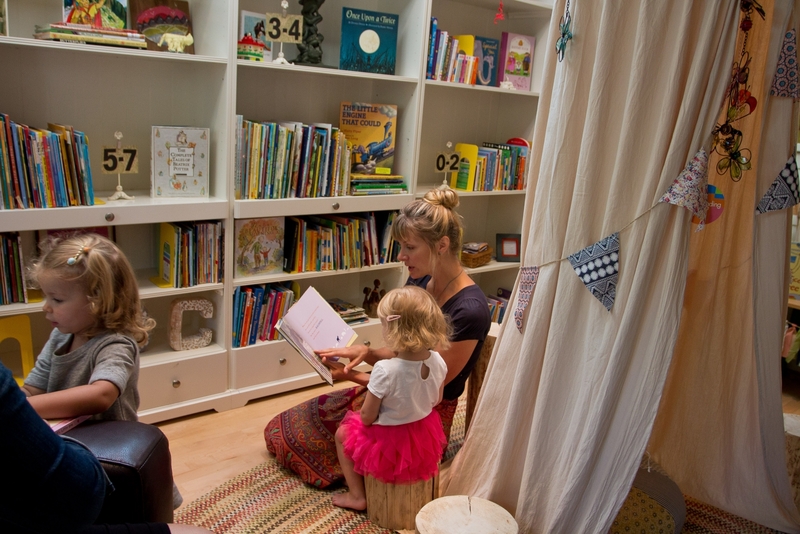 The Children’s Reading Place is in a three-level house and has comfy reading nooks, volunteer storytellers and decor inspired by children’s literature. Most people remember the first book they loved, but probably don’t consider the importance of where they read it – whether it be in the arms of a parent, under the covers with a flashlight or during class story time. 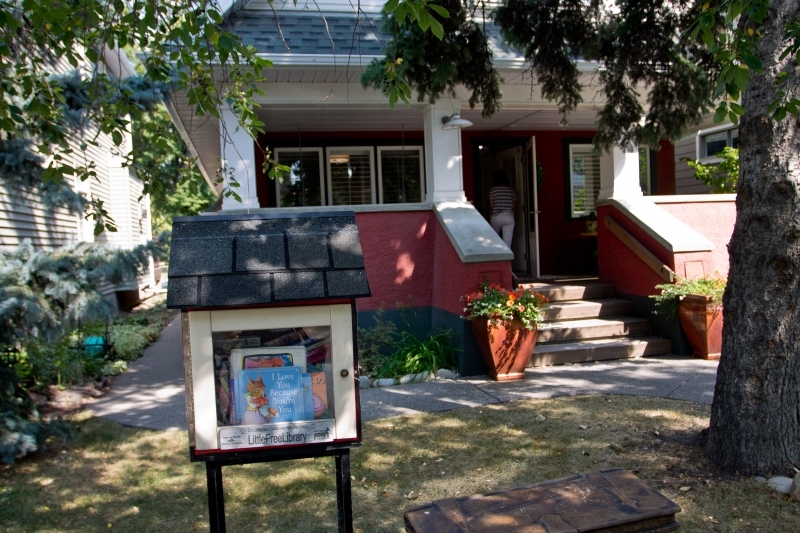 When Calgary Reads executive director Steacy Collyer decided to transform her Inglewood heritage house into the “largest little free library” in Calgary last June, she did so because she believes creating a space for children to read is just as important as providing access to books. “I wanted to ensure that any child and any family could have the opportunity to build a literacy-rich environment for themselves,” Collyer says. The Children’s Reading Place, as it’s now known, is a three-level home packed with books. While the house is intended to be a space where parents can read to their kids, there are also two official “Readers in Residence,” as city zoning regulations require that the premises be occupied. The project primarily operates through volunteers who are on hand to show children around the house. The rule is you can’t come without a child in tow and you have to book your visit in advance. Appointments can be made between 11 a.m. and 7 p.m. on Thursdays and Fridays, and between 10 a.m. and 5 p.m. on Saturdays. Only five families are allowed in at a time in order to create a more intimate reading experience, Collyer says. Every child that visits can take a book when they leave. The Children’s Reading Place gets books through donations and partnerships with publishers, such as Scholastic, which net them significant discounts. 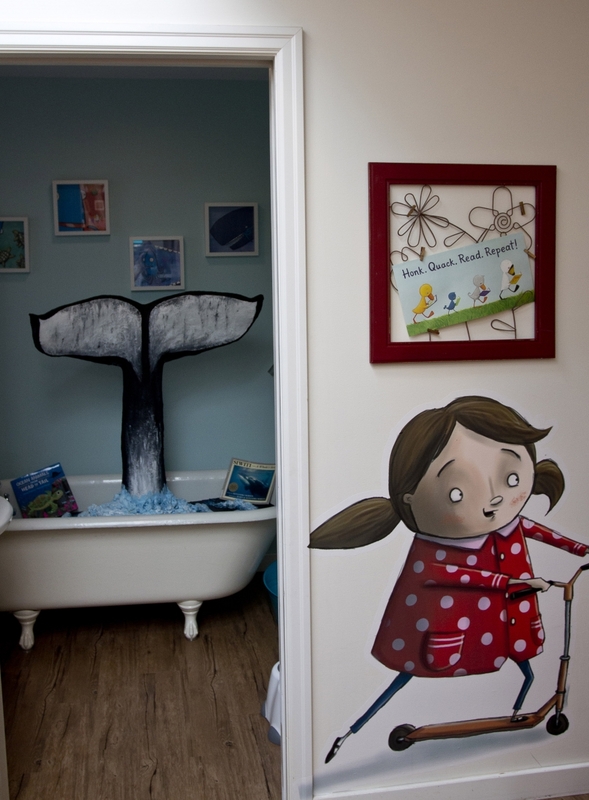 Each room also features decor inspired by children’s literature. The entrance’s black-and-white frames and quirky quotes are modelled on the works of Shel Silverstein; look upwards while you’re on the staircase and you’ll see decor inspired by the picture book Where the Wild Things Are. 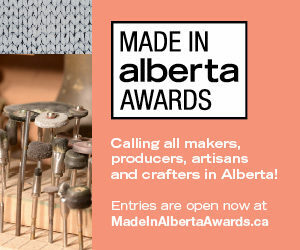 The decor was a partnership between Calgary Reads and first-year interior design students at Mount Royal University. 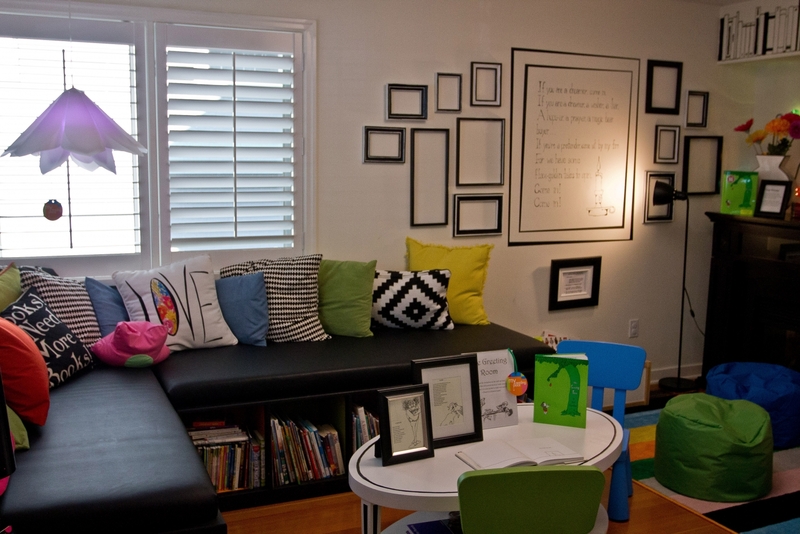 Groupings of approximately six students were paired up with an alumnus of the interior design program to make reading-friendly rooms – all on a budget of zero dollars. “[They were] intentional about each thing that they introduced, whether it was reminiscent of their childhood or because they were readers,” says Collyer. 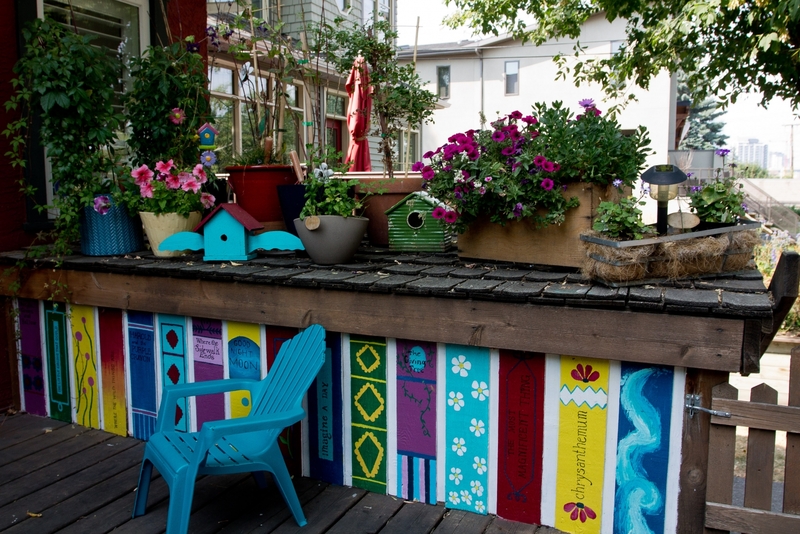 Collyer says the neighbourhood of Inglewood was an ideal location for the project on account of its “quirky urban-village” feel and because of the “eclectic mix” of residents in the area. The home is adjacent to the city bike paths and several bus routes stop nearby. “We want everyone, regardless of socio-economic status, to enjoy the house,” says Collyer. Each room in the Children’s Reading Place is inspired by a children’s book. 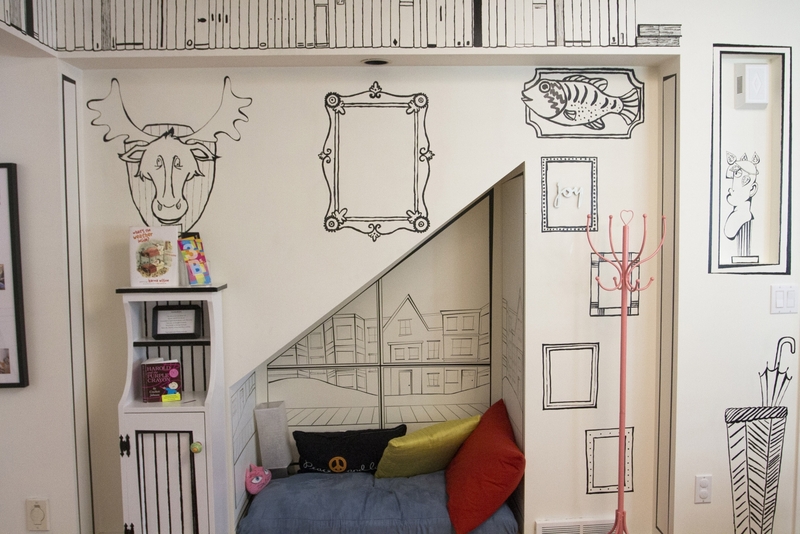 This room took cues from poet and illustrator Shel Silverstein. 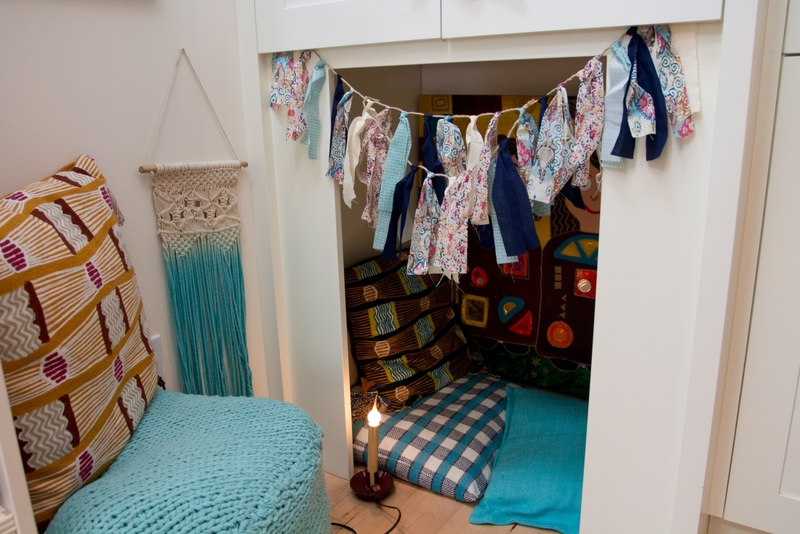 Tucked away in various corners of the house are small nooks and spaces, which visiting children can use to curl up with a book. Volunteers are always present during visits to the Children’s Reading Place. At the end of the visit, they often help children select a book to take home. A particularly cozy nook in the corner of one of the main reading rooms. During the warmer seasons, visitors can take their books outside and read in the sunshine on the patio. 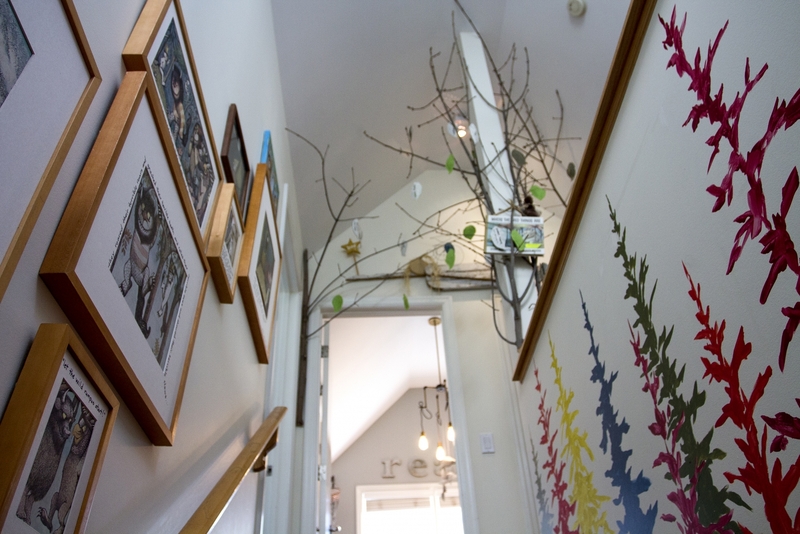 The staircase leading up to the craft room was inspired by the popular children’s book Where the Wild Things Are by Maurice Sendak. The bathroom was designed by a group of interior design students who worked with their mentor, Calgary interior designer Amanda Hamilton.